 Bronwyn Dannenfelser and Barnaby Evans spoke with Providence Police Chief, Hugh T. Clements and Bob Burke, owner of the Pot au Feu restaurant and creator of the Providence Independence Trail. 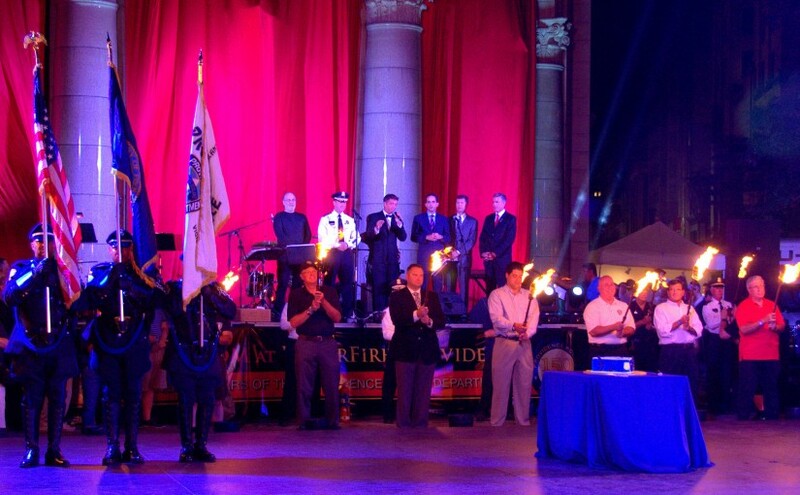 2014 marks the 150 year of the establishment of the Providence Police Department and they celebrated by joining WaterFire Providence on August 9th for the first WaterFire Ballroom event since 2012. The event was swing themed; featuring Roger Ceresi and The All Starz, and Tony Cerbo. At our July 12th, 2014 lighting we were joined by Bob Burke who performed a Champange Sabrage to celebrate Bastille Day. Mr. Burke was inducted into the Moët & Chandon Club de Sabreurs in 1990 and one is of only 6 Americans in the exclusive French society. Episode 5 – Broadcast July 16th, 2014 | Featured image by John Nickerson. Thanks for you interest in WaterFire Providence.